As of February 2017, retired baseball star Alex Rodriguez and entertainment sensation Jennifer Lopez made their relationship public. One year and a month later, the couple announced their engagement. The news sent the media and other celebrities into a frenzy, but it caught the attention of someone exceptional. The 44th president of the United States put his stamp of approval on the future marriage. 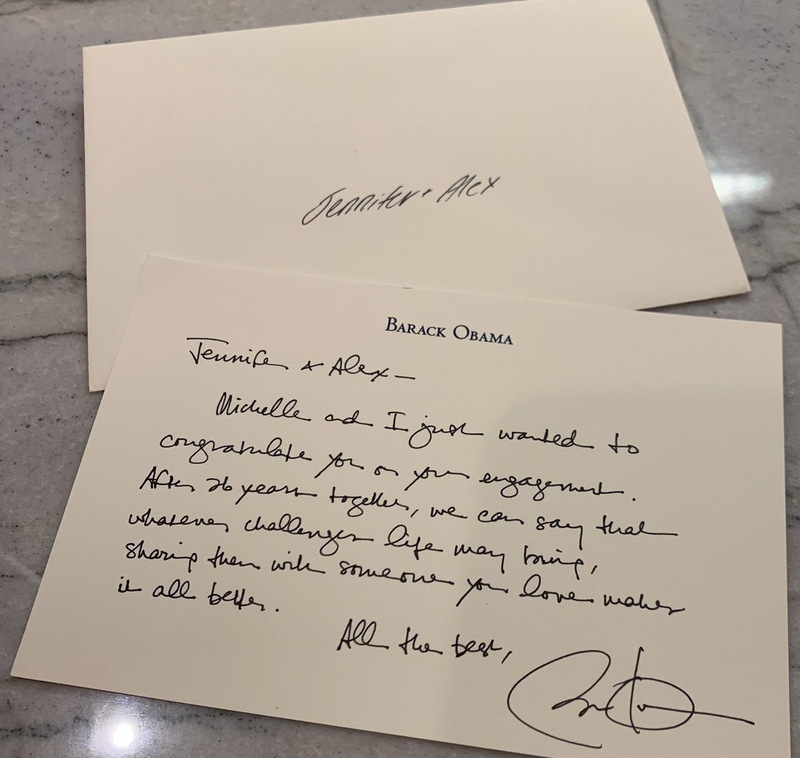 Barack Obama took the time to pen a personal, hand-written letter congratulating the happy couple. The former Yankee took the time to share the message on his Twitter account with the caption “This means the world to us. #44.” What makes Obama’s letter so special is that the general public doesn’t or didn’t know that these three had any form of relationship. The former president used to have a way with words, and it appears he still does. With only two sentences, he was able to relay a message of prosperity and optimism. He let them know that challenges won’t be enough to stop the pair, but will make being together all the more worth it.